I am a psychologist, speaker, author and mentor on building cultures of courageous collaboration. I have spent three decades as a psychologist developing IP on how fear and habit restrict our growth and achievement. I work mainly in Professional Services and Public Services, particularly those who are embracing the move towards a more connected, agile workforce. I'm obsessed with the ripples that our behaviours have and passionate about people feeling safe enough to be the very best of themselves. The way we do this is by driving people to be powerfully self-managing, have strong people management skills and securing buy into their responsibility to the collective. Amy has a Doctorate in Clinical Psychology, Masters in Forensic Psychiatry, Masters in Performance and a BSc Hons in Psychology. She worked as a practicing Clinical Psychologist and an Academic Tutor and researcher at Oxford University, UK. After her career in Clinical Psychology she has worked in corporate for 15 years using psychological knowledge, trust and collaboration to improve growth (after a short stint as a professional actress). Click here to start download! Tip sheets will follow. 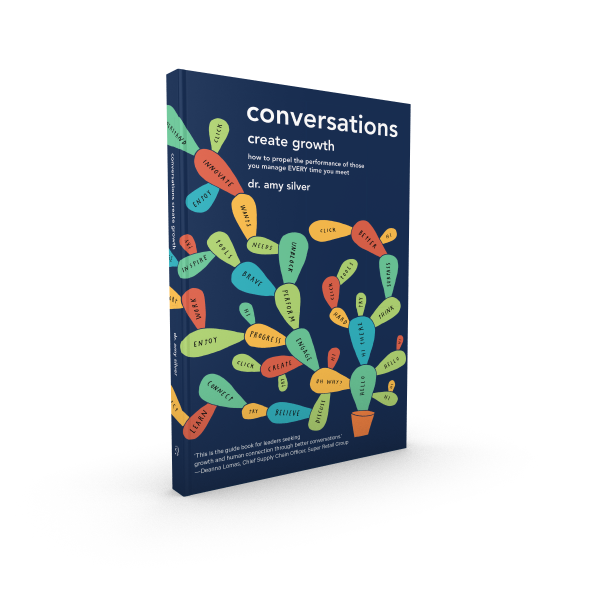 Download first 2 chapters of Amy's book Conversations Create Growth by entering details and hitting the button!